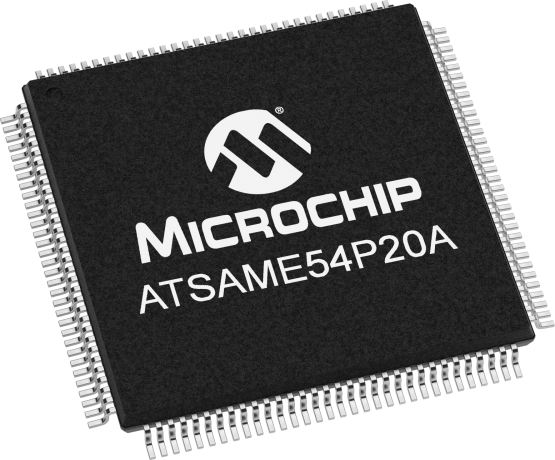 The SAM E54 high performance micro-controller series features a 32-bit ARM® Cortex®-M4 processor with Floating Point Unit (FPU), running up to 120 MHz ,up to 1 MB Dual Panel Flash with ECC, and up to 256 KB of SRAM with ECC .It also adds a 10/100 Ethernet MAC and 2 CAN-FD ports targeted for industrial automation ,automotive applications and general purpose applications requiring Wired connectivity. Series offers excellent features with class leading power performance and integrated hardware security. · 10/100 Ethernet MAC with IEEE 1588 support. · Up to 2 CAN-FD Interface.